In her recent Instagram post Shilpa Shetty said, "Your health is an investment, not an expense. Start making healthy choices now so that you don't have to regret at a later stage in your life. Choose mindfully!" Eliminate junk food from your diet if you want to lose weight quickly. We all know that Shilpa Shetty Kundra is a fitness inspiration to one and all. This is clearly evident from her Instagram videos and posts. The super talented actress never fails to inspire us whether it is her fitness regime or her diet. Super-fit, slim waistline and constant glow on her face is all because of the strict diet and her strenuous workouts. In her recent Instagram post Shilpa Shetty said, "Your health is an investment, not an expense. Start making healthy choices now so that you don't have to regret at a later stage in your life. Choose mindfully!" 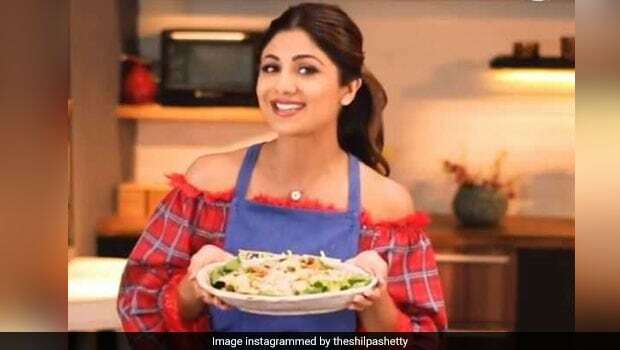 Shilpa Shetty Kundra also said, "Don't ask why healthy food is expensive. Ask why junk food is cheap." Let us list down some of the health hazards related to junk food. Junk food has various health hazards and can create havoc on your health. Junk food is extremely unhealthy, loaded with harmful chemicals and preservatives. They have no nutritional value and will only lead excess calories. Excessive consumption of junk and processed food will only lead to weight gain. Moreover, people who are on a weight loss program must eliminate these foods from their diet. Junk food is not processed in the right manner so it is usually loaded with trans-fat which is extremely unhealthy. This leads to increased cholesterol in the body which is also known as low density lipoprotein. Also, excessive salt is used as a preservative which leads to high blood pressure. Also, it may be harmful for the body as it may lead to several other heart-related ailments. Junk food has various health hazards and can create havoc on your health. Junk food contains certain ingredients that are extremely harmful for the body. These ingredients are tasty and appeals to a lot of people, especially children. This makes children and even adults get addicted to these kinds of foods. Most of the junk food sellers do not maintain health and hygiene, so the people are at a higher risk of some stomach ailments like food poisoning or irritable bowel syndrome or even indigestion. Nutritionist Nmami Agarwal said, " Hopping on your favorite junk can zone you into a splendid aura. However, long term health effects can be ten times hazardous than that of pleasing taste buds! Showcased reason is the key culprit behind the health issues. PAY ATTENTION!!! "Junk is the food group with zero to negligible nutrition, deteriorating the health within which later in life can turn out amongst the causes of ranging health issues." 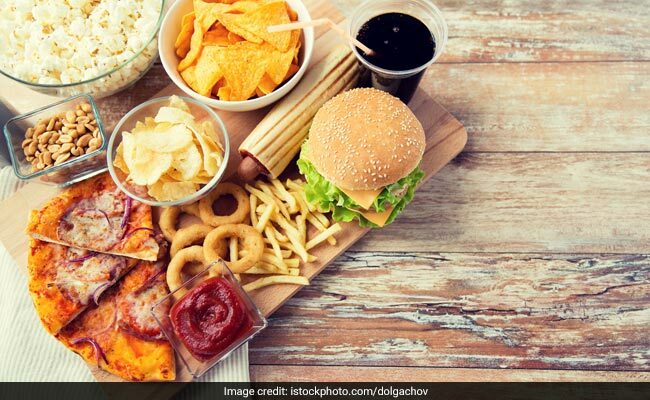 Health hazards of junk food can range from acne to heart issues, dental distress, weight gain, high cholesterol, high blood pressure, increased blood sugar levels, blotting, puffiness in body, extra calorie and sodium intake which indicates to serious illness when consumed on regular basis and large portions. Therefore, it's always recommended to make a track over complete nutrition including fresh fruits, vegetables, whole grains, dairy, poultry and treating yourself once in 10-15 days with your favorite dish! In today's busy schedules, it is very easy that we resort to junk and super-convenient goods. As discussed, this should be avoided at all costs. Healthy food can be really easy to prepare and inexpensive as well.